Sporting arenas nowadays seem to be getting bigger and bigger. Stadium owners are looking to pack in more people than ever to create a unique atmosphere and a better home field advantage. As stadium sizes increase there is more room for sports graphics that will give your stadium its own feel. This is why every state of the art stadium these days is decked out with stunning stadium graphics. 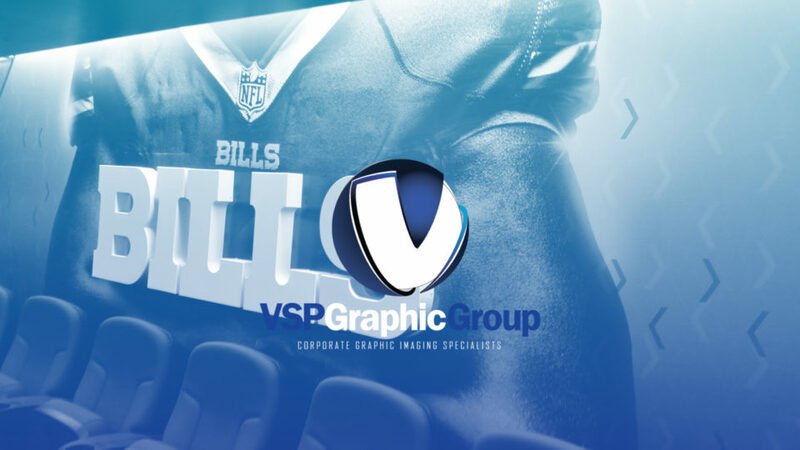 You may have heard of VSP Graphic Group because of our work with vinyl wrap for cars but we can tackle any kind of business or advertising signage; including exclusive stadium graphics. In fact we’ve been one of the forerunners of custom signs in Buffalo for years. We’ve even partnered with WNY staples like the University at Buffalo, Darien Lake Performing Arts Center, and the Buffalo Bills. Here’s a few examples of some of the most common types of sports arena graphics today.